The quickest and simplest way to communicate with your contacts, directly from your CRM. Want to See CloudCall in Action? You can tailor CloudCall so that it suits your business needs. Book a demo to see all of our great VoIP phone features in action. All of these great features have been built with you in mind, helping you to be more productive and offer a great customer experience. Improve your efficiency by making calls with a single click from your CRM or business software. Boost your calling activities by uploading prepared contact lists into the dialer. This automatically dials through the list and ensures that more time is spent talking to your contacts. Increase pick-up and connection rates with Local Presence, which allows you to dynamically display a number that is local to the area that you are calling. Leave a pre-recorded voicemail with a single click. With up to 5 pre-recorded messages, you’ll be able to leave carefully composed messages, increasing the likelihood that your contacts will call back. Route your callers directly to available team members. The ACD accesses advanced analytics including the number of calls that each individual has taken, its duration and their availability and directs the call to the best available person, providing effective workforce management. Create calling groups of teams with specific skills and knowledge, who are responsible for dealing with certain areas of the business. Calls can be directed to these groups, ensuring that customer queries are dealt with efficiently. Receive inbound call notifications, which link to the caller’s record. This helps you identify the caller and ensures that you are fully prepared and that call handling is as efficient as possible. Improve your caller’s experience with an automated telephony system that interacts with callers, gathers information and routes calls to the appropriate recipient. On busy days, Queue Callback allows callers in inbound call queues to choose between requesting a callback or leaving a voicemail, minimizing your caller’s average wait times. Record, store, and playback calls directly in your database. You can pause the call recording whilst taking sensitive information, which offers assistance in managing compliance with PCI DSS regulations. Capture all essential call information including call categories, notes and call recordings, which can be accessed directly from your CRM system, giving you a better understanding about your interactions with your contacts. Have full control of your team’s settings from the CloudCall Portal. You’ll be able to manage your organization’s call profiles, configure all of your settings, manage user and service accounts and access real-time activity reports and call recordings. Access real-time KPI reports on all inbound and outbound calls, helping you to monitor your team’s activities. There are plenty of report configuration settings available, so you’ll be able to build highly customized reports. Build and create your own activity dashboards, providing advanced call analytics in real-time, with information such as active and missed calls, call distribution, call duration and average wait times. Provides management teams with the ability to monitor and interact with live calls – ideal for training and monitoring, encouraging a best practice approach. Finished with work or out of the office? With Call Forwarding, your calls can be directed to other groups, people, devices or even automated messages, which ensures that calls are never missed. Built-in call controls to hold, mute, transfer, conference and pause the call recording – the dial pad enables you to streamline your calls directly in your CRM or business software. Connect with up to 10 participants in a CloudCall Conference Room. These calls are recorded and stored in the CloudCall Portal so that you have a record of all of your important conversations. CloudCall has a deep integration with a number of CRM systems. 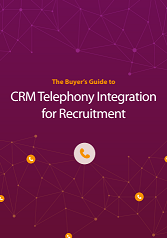 Through these integrations, you’ll have access to all of these valuable telephony features, directly from your CRM – streamlining your business processes and improving your communications. Extend CloudCall’s functionality to your mobile, with the CloudCall Go! mobile app. Calls from your mobile devices and cell phones are logged, recorded and synced directly to your database, so even when you’re on the move, you’ll be sure that your conversations are still accessible. Work anywhere with CloudCall’s dynamic system and be able to use any device to make and receive calls. This makes it simple for people and teams to work flexibly and productively, as there are no limits to their calling activities. These outbound features were designed with your productivity in mind. They provide you with a better way to manage your communications, directly in one place, ensuring that you have more meaningful conversations with your contacts. These inbound features were built to make sure that you’re able to offer your customers the best experience. They provide your callers with a simple and straightforward way of communicating with your company. We understand how important it is for you to measure and manage your team’s activities. Our solution offers you the best tools that you can use to keep track of your team’s activities. With a cloud-based PBX system, you’ll be able to use all of the great features that a traditional phone system offers, without the additional expenses and complications. With a growing demand for flexible working options, it may be necessary for your company to offer and provide flexible work. With CloudCall, this is easy to do through the ability to configure your users’ devices and the CloudCall mobile app, so that you can make calls and work from anywhere. Work anywhere with CloudCall’s dynamic system and be able to use any device to make and receive calls. We make it simple for people and teams to work flexibly and productively, as there are no limits to their calling activities.